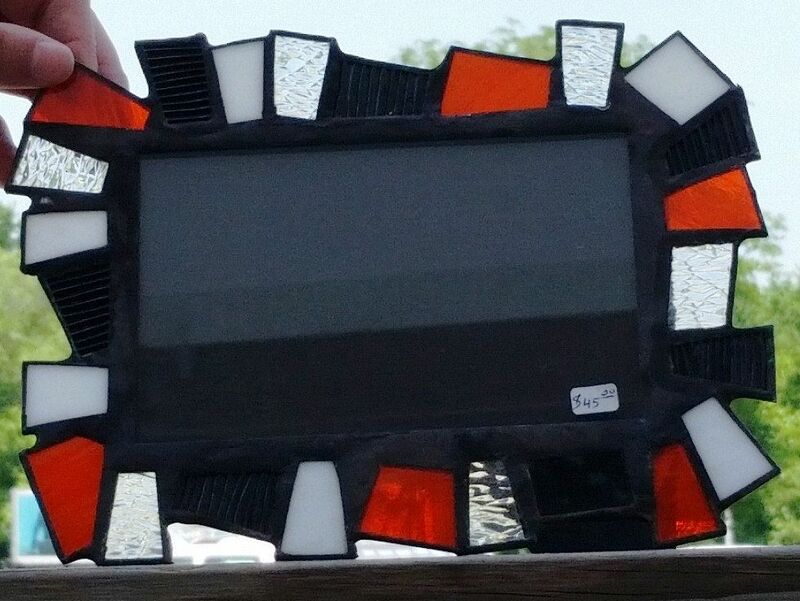 Our scrappy stained glass picture frame has a 5" X 6" photo opening. It comes with an easel back and will stand or hang both vertically or horizontally. 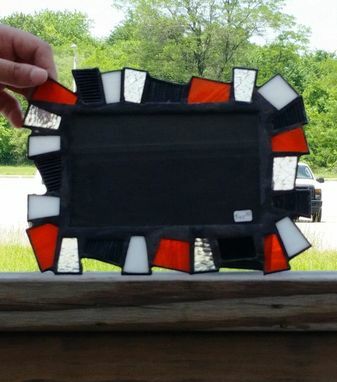 You can add a matt to your frame for a unique look. If you need a frame in a specific color, odd size or with special theme please let us know. This one was specially made for the Orioles fans!